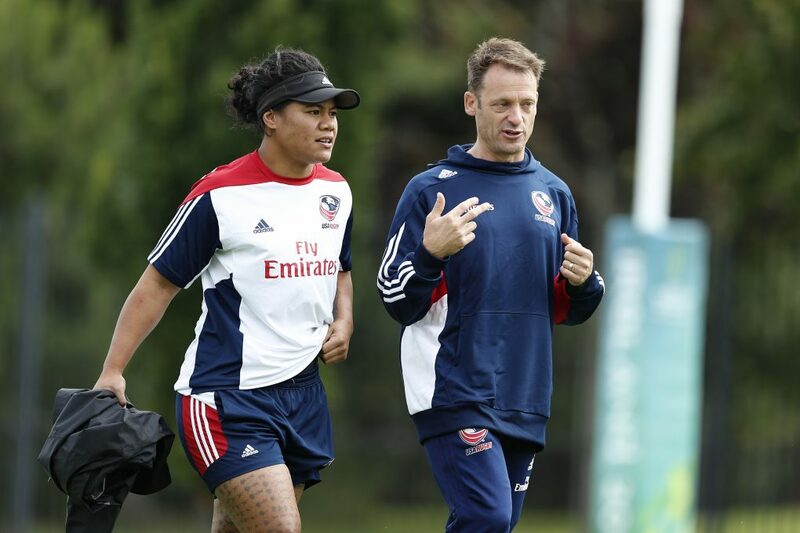 Interview with the 2017 Women's Eagles Head Coach and Team Captain. 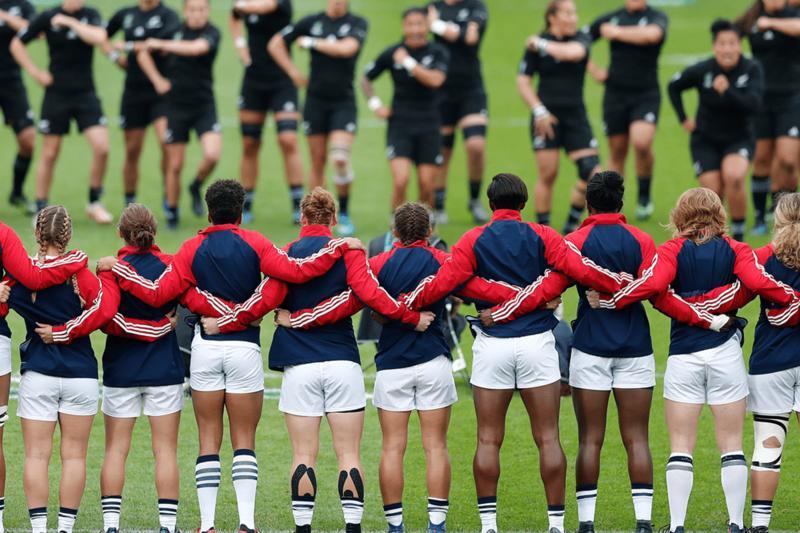 The 2017 Women's Rugby World Cup was a significant tournament in the storyline of American rugby. 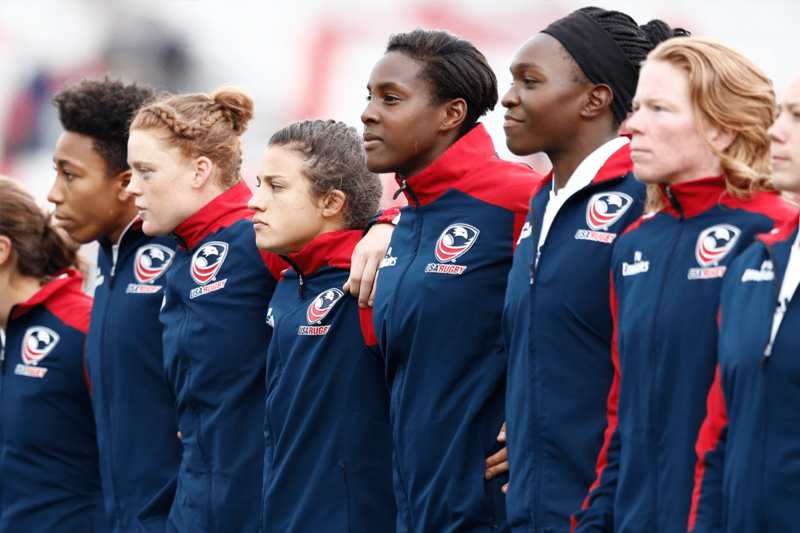 With determined play poetically coming down to final minutes, the Women's Eagles found themselves competing in the semifinal for the first time in almost 20 years. 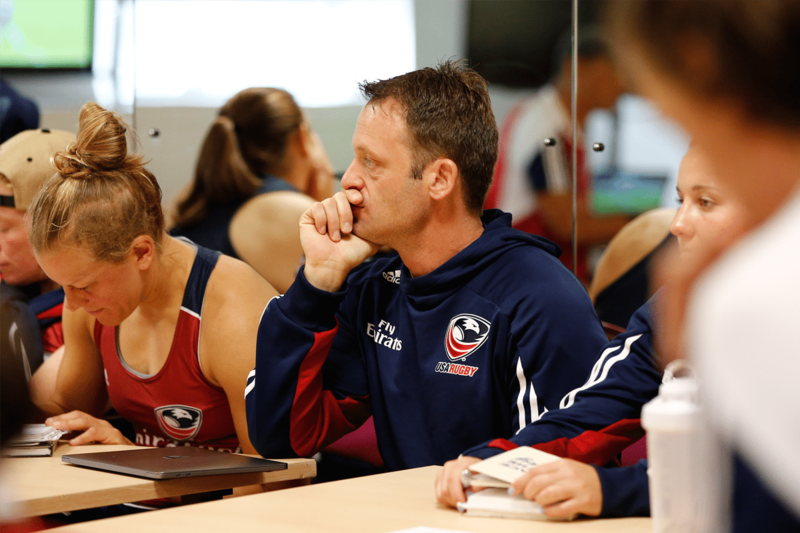 For some perspective on the contest and proceedings leading up to the World Cup, USA Rugby sat down with Head Coach Pete Steinberg and Team Captain Tiffany Faaee, for an in-depth conversation. 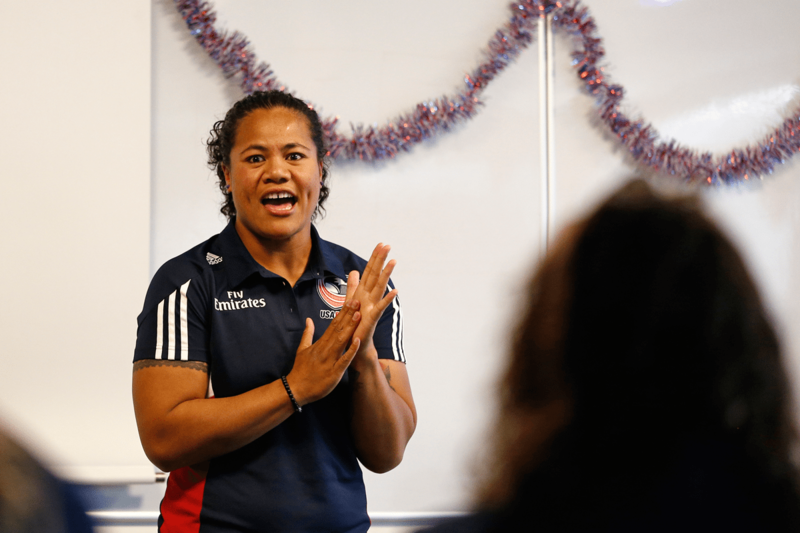 After the 2014 Women's Rugby World Cup, the team had a number of retirements. What was the plan for the new cycle? Steinberg: We knew we had to get young. In the 2015 Super Series, we capped 17 new players which is a ridiculous number. 12 of those players went on to play at the World Cup so we feel like we did a pretty good job in player identification. One of the new approaches that helped us was introducing a competition step between the domestic game and the Eagles - we called them the National All Star Competition or NASCs. We had 2 NASCs before the Super Series and it gave players 4 games in a competitive environment to show. It was a much fairer way to select than using domestic matches and camps, I think it was a key to our success. I remember in the second game of the June NASC Alycia Washington having an amazing game. She was all over the pitch. It was that 4th game where she felt comfortable to express herself and it was in that game she started her journey to the World Cup. The NASCs have been a great tool, for a number of players, like Kristine Sommer, it was a key developmental tool before being selected. Our plan was to play a different style of rugby on attack. In 2014 we led with defense but we were determined to lead with attack in 2017. We gave the attack significantly more time and starting building the structure, under Peter Baggetta's lead, early on in the cycle. The focus was to stretch the defense with a wide attack and use our backrow out wide with the backs and to play as quickly as we could in contact. Tiffany, as one of the new players, what was the 2015 Super Series like and could you see the potential in this team? Faaee: As a new player I was very impressed with the players athleticism. It was quite intimidating as the standards for fitness were established not only by coaches but by the players themselves. Growing up in New Zealand, fitness was one of the struggles. I know the style is different in the US, but being fit is definitely part of the culture which allows us to play around with different playing styles. Steinberg: Tiff probably does not remember but we had her learn prop at the NASCs (she plays #8 for New York) and then go out, less than 6 months later and prop in an international game! After the fall tour loses and the CanAm, the team had lost nine internationals in a row. How did you overcome that record? Steinberg: Honestly, I did not know what the record was. I did know that in the 3 years since the last World Cup we had only played the top 4 teams, so there were no games where we were favored. However, we always talked about improvement and getting better and in each game we showed we could play in pieces, we just couldn't put it together. Faaee: The losses leading up to the World Cup were hard to deal with. It's never good for the confidence, to give it everything and still come out second best. But, they were stepping stones for us to find our groove, as a team but even for the coaching staff. Our attack changed throughout the cycle, it was definitely something that evolved along with the squad. We grew with it. Like rugby in general really. Steinberg: I think the evolution of how we attacked was important. We tried a number of different approaches and tried to find out what worked. While we lost 9 in a row beating Canada, in Canada, on Canada day with such a young team in 2015, was the first moment that I thought this team could be special. We also played the Black Ferns very close in the first half in that series. 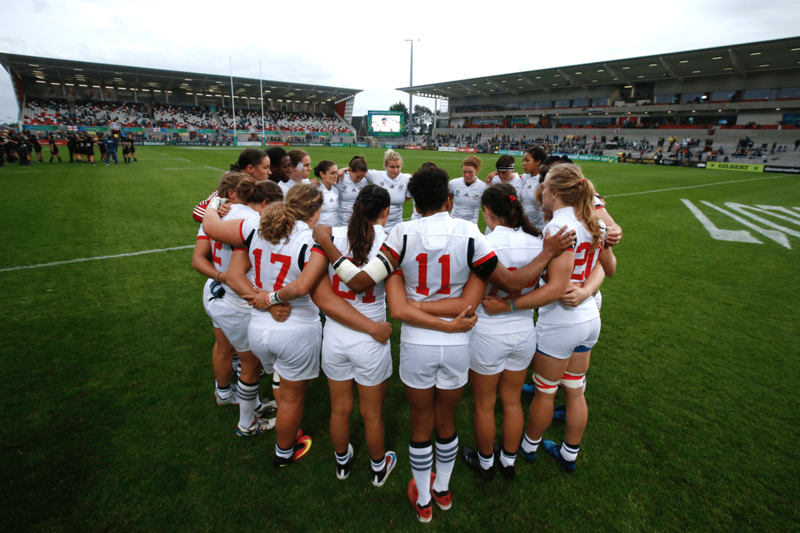 In 2014 the team toured the UK with a match against Wales and two against England. Why did the program choose to have a month long training camp? What were the benefits and challenges? Steinberg: We knew the team we were taking to the World Cup had not played together much - even if we only took two uncapped players. Therefore we needed to install our approaches to play. That was going to take time. When you have a competition you spend most if you time preparing for the game, or recovering. This time we could actually do some skill development and then tactical implementation. The challenge was to keep it interesting for the players throughout the month and to push them physically and mentally, without breaking them. I worked with Ian Gibbon, our Director of Physical Performance, to design practices that were short and sharp. Most of our practices were less than an hour and some were as short as 40 minutes. The goal was to increase intensity. We also did some tactical periodization where we would focus each block of practice on a different area of the pitch and then work on the skills required for that area, as well as the tactical implementation. A big challenge was to integrate the residents that lived locally with the players that came in for a month and lived next to the training center in an apartment. It was helped when Richie Walker was able to negotiate getting everyone access to food at the training center. The players really worked hard and by month's end we were in a good place. In fact, I think Richie's involvement with the 15s team and his belief that rugby players get better by playing rugby, was critical in our performance at the World Cup. Faaee: One month together versus games was different for sure. As part of the leadership group we made sure we made the most of it. We never really had a chance before that to go into detail because we would be rushed together for two weeks, then we only had time to play games and try to recover. The long camp gave us time to connect off the field and problem solve without so much of a time crunch. We were definitely tighter as a squad going to Ireland and after Italy we were confident in our work prior, to deal with any issues and had built a good enough rapport to adapt and improve every time we stepped onto the field. Steinberg: I think the leadership group really did a good job during the camp. They came together as a mini-team and it was here that they began to lead the team. I also think doing things like the Seals Training, going to the local Gaelic games, etc. were all important moments for the team to learn and bond. What was it like being named captain of the Eagles? What challenges did you face in your leadership throughout the tournament? Faaee: I was so excited to even be named to the squad, so when I was asked to captain I actually cried. Being captain put me in a good position to really be a voice for the players, and for the coaches. I was really big on creating an environment where everyone can express themselves and we really know each other enough to be straight up and have a laugh, but also be focused when we need to be. If I had to pick a challenge, it would be missing out on team events when I had to attend captain stuff. They went to the ocean which looked amazing, and I missed a good practice leading up to our first game against Italy. Steinberg: Tiff did a great job of keeping the coaches honest and challenging us. She definitely grew into the role, and I think the passion she brought to the captaincy was one of the most important ways for her to get buy-in. With no preparation matches during the summer, Italy would be the first game this team had played together. How was the team's mood coming into the game? How did the team prepare? Steinberg: We did as much as we could to replicate game-like conditions in practice. During the long camp, we had some practices that were 40 minutes long with very little coaching and rest. We measured performance and posted how both the team and the players did with execution. It was our way of creating the intensity of practice and the pressure of performance that comes from games. For the Italy game, we spent a bit of time looking at what they did in the 6 Nations, but most of the focus was on what we wanted to do. We started with a pretty prescriptive game plan about what we wanted to do in different parts of the field and that was the focus we had in the game. Faaee: The team felt excited. It was like getting a present but you couldn't open it yet. We had all these tools we had been given at camp and at all the practices leading up to it. We had a light run against a local club in Dublin which was really helpful. We were mostly excited to tackle players other than our own teammates. The win against Italy was important, but so were the four tries and bonus point. How did the team prepare for Spain and what was the focus in preparation? Steinberg: We had a plan for the World Cup which was to select our starting 15 for the last week of the long camp, and then to pretty much stick to that group through the World Cup. This meant players who had injuries or did not play well in Chula Vista, did not get much of a chance to "win a spot" but I think the work non-rostered players did throughout the World Cup was fantastic, it demonstrated an amazing team-first attitude. That was on display against Italy and continued in our Spain preparation. Faaee: With Spain, the mentality had switched to fixing our errors from the game against Italy and stepping general play up to another level. The win helped gain confidence but because we left 4-5 tries on the field against Italy, we wanted to improve on finishing. You had 10 points from your first two matches, and then came England, the World Champions. How did the team prepare for their biggest test yet? Steinberg: We went through the same process for the other games. Players did a recovery day and then video review. 1 practice in the middle day where we worked on some aspects of the England game. We knew their lineout maul was a weapon and we also knew they had a sophisticated kicking game. We had started working on maul defense in San Diego, but until we actually face their maul it is tough to replicate. We had the most athletic back 3 at the World Cup, but none of them had 10 caps so we knew that was an area we had to address. Our focus was to test ourselves against the best and to score 4 tries. Throughout the World Cup we talked about improvement and that was the same for this game. I think the England game was our best learning game and it showed with improved physicality and pace in our last 2 games. Faaee: England was the only team in our pool we had actually played before during the cycle so we knew what to expect. We focussed on our strengths and improving from the game against Spain. The shutout against Spain was a good mindset to take into this match. How important was the 4th try against England? What was the key to the second half recovery? How did the team feel after the game? Steinberg: Canada v New Zealand was going on while we were preparing for the England game. The coaches went and watched the first half because New Zealand was a potential opponent. When Canada did not get a bonus point against Wales we knew that they had to get a bonus point against New Zealand to have a shot at the second place spot. As the second half went on the staff had an eye on the scoreboard and when it ended we knew that Canada could not win the second place spot. We did not talk about it with the team and I think the 4 try demonstrated that we deserved that 4th spot, which is why it was important for the team. Faaee: The 4th try showed our mental toughness, playing till the final whistle and keeping that intensity up. We struggled in the first half finding our pace. Some decision making errors kept us on the back foot. Back in the locker room we regrouped and came out to start a whole new half and play our game. How did the team react to making the semifinals? What was preparation like for New Zealand? Steinberg: We had an extra day between games due to travel from Dublin to Belfast, and we decided to use the extra day to give the players some time off. They had worked so hard and mentally needed a break from rugby. Then we went right into our regular game preparation. We knew we needed to stop their 10 from running and off-loading and we thought if we could contest at the tackle our line-speed could slow down their attack. We challenged the tight 5 to step up and be physical and told them there would be a positive tackle competition! We actually had a pretty poor practice the day before the game and were not as sharp, but the attitude was great. Faaee: We were so stoked. After the game against England we were confident that if we kept improving, we could hang with those teams ranked higher than us. New Zealand plays a different style again. My message before [the match] was we play our game. It didn't matter who was opposite us. We play hard, back ourselves and work for 80 mins. For 60 minutes the team played New Zealand very close. What were the keys to the performance? How did the team manage the disappointment of losing and then preparing for France? Steinberg: We talked a lot about belief, how we had to trust in our game plan and the work we had done. In the warm-up before the game the players were dancing and singing and were very loose. In fact maybe a little too relaxed? It was tough to tell because we just did not know enough about this team and what they needed to play well. We did up the intensity at the end and I think that prepared us. Tiff and Richie had talked about how to deal with the Haka as a team. Faaee: Before I found out Richie was coming back to Ireland I had reached out to a close friend of mine from New Zealand about some ideas on how we can accept the challenge of the Haka. I told her the message I want to send the New Zealand players was 'We accept this challenge, give us your best and we will give you ours.' When Richie arrived in Belfast we immediately discussed how to respond. We wanted to wear something so when the Haka was complete, we had something to remove as a symbol of that's that. Onto the game. The game was a great one and for ¾ of the match we were in it. We were not playing our best and struggled to exit our half, but our defense was excellent and our linespeed slowed them down. At the end we just ran out of legs and as our linespeed dropped that gave them to the time to play. They took all their chances and we did not take ours. Running the ball at the end of the half instead of taking the points was an example of our inexperience, but we have to credit the players for having the belief in themselves. At the end of the second half we struggled to respond as a team to the pressure the Black Ferns put on us, but I believe that if we had a chance to play them again we would definitely make it a game for 80. We talked about needing to improve from the England game and we did that, but we did not improve enough. Faaee: We wanted to play fast. We knew we had to look after the ball better than we did during the match against England. We aimed to apply pressure and to slow down their ball. We did that very well for 60 mins. We watched the video again and all agreed we made some wrong decision so preparation was to let that game go and focus to improve against France. The match against France was another tough game with some outstanding performances. What challenges in that game did the Eagles struggled with? How was the team's attitude after the game? Steinberg: I was impressed with how the team responded after the New Zealand game. They focused on the improvement and then it became how we can play and get some hardware. Selections for the game were very tough and we had some excellent coach discussions. Our hand was forced with Kimber Rozier and Kate Zachery not having enough time to get back from a concussion which put Kayla Canett at fly-half. While Kayla is a natural fly-half one of our gambles was to run her exclusively as a scrum-half to be a change of pace to Deven, so she had not run at fly-half for 3 weeks! She stepped up and really grew into the game. The other tough selection was at prop. Hope Rogers had ACL surgery less than 6 months before the World Cup and had worked her way back into form, while Catie Benson had worked so hard and had started the previous 4 games. Finally this was a chance for the Eagles to show their depth. We kept to our plan of being relatively consistent in our starting selection, but we rotated the bench and selected a number of players that had not had much time. It was great to get so many on to the pitch while the game was still competitive and see them all step up and compete. Faaee: It was sad to not get on the podium. It felt like it was the next natural step with how much we were growing during the tournament. We put together some amazing rugby and the girls were just proud in the end. Proud with how quickly we could come together and perform with the top 3 teams in the world. We finished ranked 4th in the World. An improvement from the World Cup 2014 and an improvement from our ranking going into this World Cup. Both of you are retiring, what do you want the 2017 World Cup legacy to be? What memories will you take away? Steinberg: I think that outside of a handful of players this squad will be available for 2021 and should go into that tournament as one of the favorites. I am also looking forward to seeing the sevens team compete in the series this year. 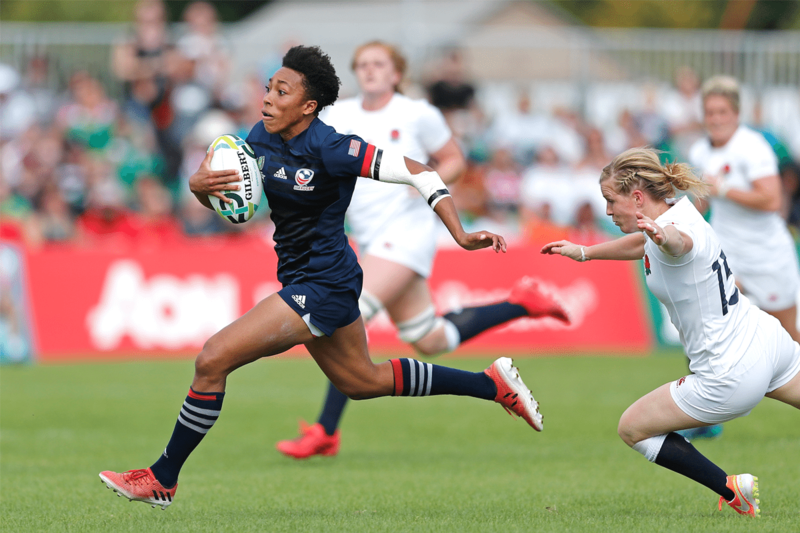 The movement from sevens and 15s players to just rugby players has had a benefit for both programs and needs to continue. I think there are a number of players that will use their experience in Ireland to improve their sevens play and help the US close the gap with the Australians and Canadians that did not have their sevens. Faaee: Me retiring? Haha, ok fine. I will remember these women overcoming so many obstacles. Our preparation wasn't the best but we still came out and put on great performances. I will remember the faces of our supporters being so proud regardless of the outcome. USA have incredible athletes. People who put their lives on hold to play, bodies on the line to play. These women and this experience taught me so much, learnt so much about myself and I went to places emotionally and physically that I thought I could only dream of. The legacy will be we left the jersey and team better than we found it. I have no doubt that will continue. [I'm] proud with how quickly we [came] together and performed with the top 3 teams in the world. We finished ranked 4th in the World. An improvement from World Cup 2014, and an improvement from our ranking going into this World Cup..